One of the occasions in Orchestra of Samples where lyrics have been especially written for a track created from improvised samples, Joe Publik – who’s travelled almost as much as we have – instantly understood and connected with the project and it was great working with him. 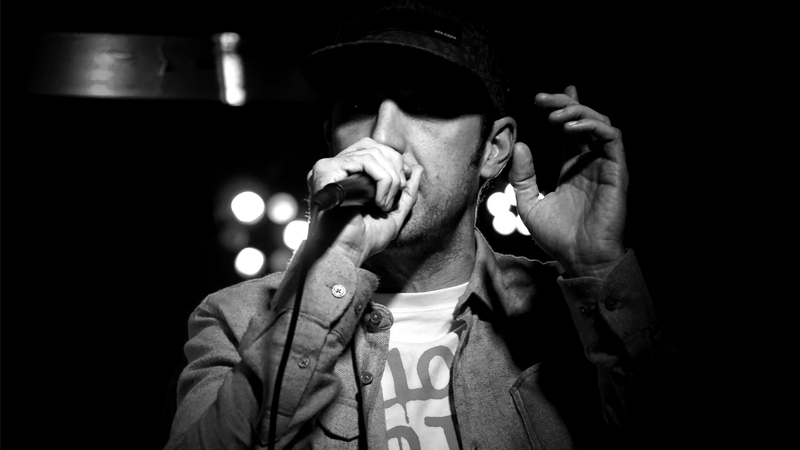 Joe’s a rapper, MC, DJ and singer/songwriter from the Isle of Wight and is one of the two founders of the Born Ina Barn crew. From humble beginnings started by himself and a friend as a way to kill time, to what is now an evolving group of musicians, DJs and MCs, the crew have performed up and down the UK, including at London’s Hootanannys in Brixton, Bristol’s uber-cool Mr Wolfs to festivals such as Boomtown, Bestival and of course The Isle of Wight Festival. Over the years, the self-declared ‘home grown hicks of UK hip-hop’ have supported artists including The Dub Pistols, Fun Loving Criminals, A-Skillz and breakbeat legend himself Afrika Bambatta. Their debut album Brick by Brick was released in 2012. Influenced by the ‘create something out of nothing’ attitude of hip-hop and the grooves of reggae, ska, blues and even jazz, Joe and his crew fuse heavyweight beats and bass with very much ‘to the point’ lyrics that effortlessly glide between clever wordplay, rapid syllable flow and very meaningful content. A great guy, it’s a pleasure to have him as part of Orchestra of Samples! With massive thanks to Gav from eco-fashion label THTC for the introduction.